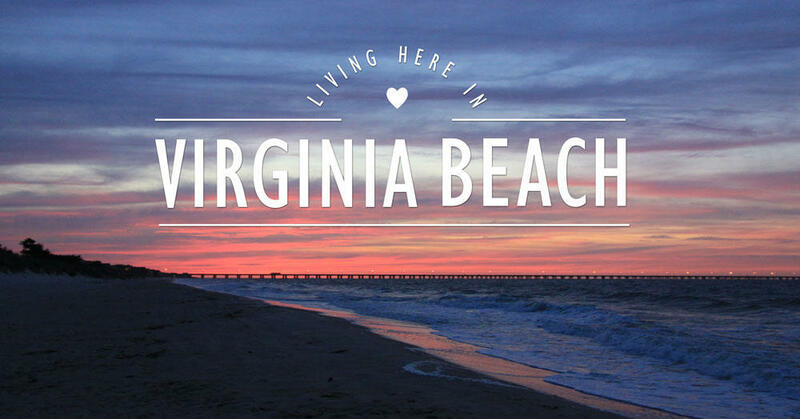 While many tourists come to this area just to soak up some sun on the beach, there is so much more to Virginia Beach living. When you live here, it's almost like being on vacation year-round. There is always something to do, whether it's attending a local festival or wine tasting, participating in a fishing tournament or marathon event, enjoying music at a free outdoor concert at 24th Street Pavilion, taking in a round of golf on one of many award-winning courses or hiking, biking and bird watching at First Landing State Park. 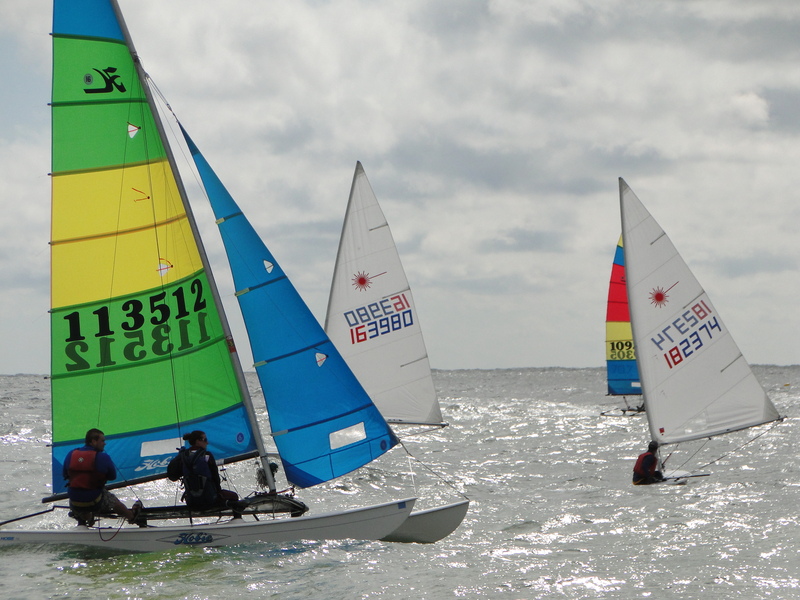 At Sail Virginia Beach, take sailing lessons for big and small boats, windsurfers, racers and first-timers. Shopping and Dining ~ There's a plethora of choices for shopping - everything from chic and eclectic shoppes to high-end retail stores. Looking for fresh seafood for dinner? You've come to the right place. Locally owned restaurants provide culinary delights ranging from oysters and all-you-can-eat crab legs to flounder and rockfish. Even though Busch Gardens and Colonial Williamsburg are popular for tourists in the summer, local residents get to enjoy them long after summer is over (and the crowds are gone). Water, Water and More Water ~ It goes without saying - with so many beautiful waterways, there is an abundance of opportunities and locations for fishing, boating, stand-up paddle boarding and kayaking, not to mention taking in one of the city's many dolphin or whale watching tours. Want to take a walk on the beach after dinner? While the oceanfront sunrises are lovely and invigorating, the sunsets on the bay are equally stunning. Let's not forget The Weather ~ Balmy summer nights and hot summer days plus mild winters are the order for the day. You can't beat the weather here, especially in summer with ocean breezes, plenty of sand and surf, plus lots of green and color flora so you get the best of all worlds. Below are just a few of many links to the area's numerous outdoor attractions, ongoing annual festivals, sporting and music events as well as cultural and historic venues. We'll add more throughout the year so stay tuned! Beach Street USA Mark your calendars and join the fun on music, entertainment and awesome events happening all year at the oceanfront (and Town Center, too). MOCA (Virginia Museum of Contemporary Art) Exhibitions, camps, educational programs, art shows and facility rentals. We love our MOCA. For Adventure Seekers... Biking in Hampton Roads For cycling enthusiasts, check out the best places to ride. Coastal Magazine's Things To Do Calendar Our latest magazine covers fun events in the area so you won't miss a thing. Virginia Aquarium Marine & Science Center 800,000 gallons of fun under one roof! The Adventure Park Don't miss experiencing nature from new heights at The Virginia Aquarium's Adventure Park. Zip line your way among the trees above scenic Owls Creek. Ages 5 to adult. Get ready for an aerial adventure experience in the trees at The Adventure Park at Virginia Aquarium. Farmer's Markets and Seafood Markets Fresh is best - shop for local and seasonal fruits, veggies and seafood and meet the folks who make it happen. Buoy 44 This new restaurant overlooking the iconic Chesapeake Bay Bridge Tunnel on the shores of Chic's Beach is getting rave reviews for fresh seafood in a casual setting. Sandbridge Island Restaurant & Raw Bar A favorite spot for locals in the nearby Sandbridge area. Captain Groovy's Chill out in a laid back atmosphere and weekly specials at the Norfolk end of Shore Drive near Ocean View. Catch 31 One of the many seafood restaurants and bars at the oceanfront. (Also a Certificate of Excellence 2014 Winner from Trip Advisor!) *** If you're looking for a new home in Virginia Beach or Norfolk's East Ocean View area, check out Bishard Homes' communities and homes ready now. For more info, call Jen Barkan at 757-401-6069 or send her a quick email.